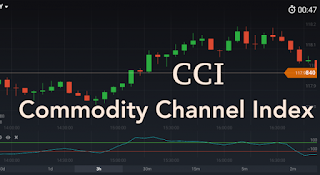 The CCI (Commodity Channel Index) first appeared in special literature in the late 1970s. 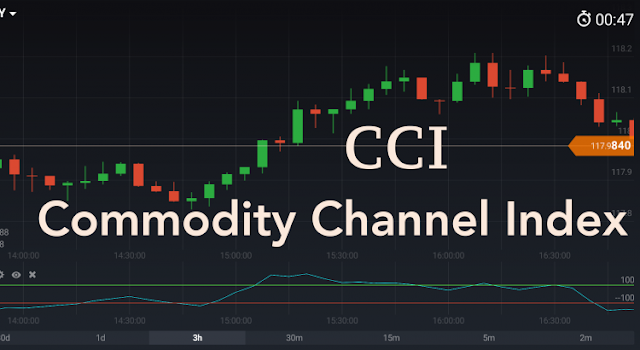 Donald Lambert created the CCI indicator to analyze commodity markets, but market history has proven that if the CCI "works," it can be applied to all financial sectors. Currency, securities and derivative markets that are impractical and too emotional. This is evident in the endless cycle of crisis alternating with periods of economic recovery. Market reaction to this event is excessive. Very extreme ups and downs that sometimes cause the collapse of individual companies, and in rare cases, even the government. But finally the world economy always switches back to the average country. Donald Lambert suggested CCI calculate the stable intervals of fluctuations in commodity markets, and to consider any unusual deviations from these norms as a sign to enter in the opposite direction, assuming that the system will retreat from extreme values ​​and be drawn back to the middle. . In most cases, Lambert is right. If we set the indicator to "fast" (CCI is displayed below the quotation graph), we can see where the CCI line is out of "standard channel" and see that in four cases the indicator is right (1), but in the fifth case (2) , the price "takes off". 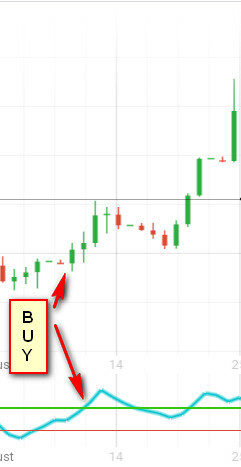 In four cases the right indicator (1), but in the fifth case (2), the price "takes off"
What's wrong in the fifth case? The problem is the type of indicator. 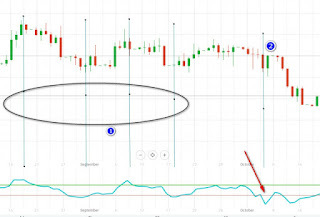 This is an oscillator, a flat indicator that "folds" when the trend appears. As long as there are price fluctuations in the stable range, CCI detects a perfect reversal. Once the price of momentum gains in assets in a certain direction, false signals start. 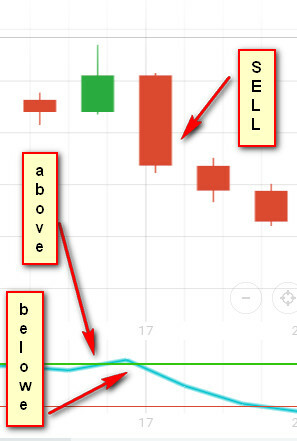 Let's see what is under the hood to understand how to properly use this indicator algorithm. If you start panicking when you see a mathematical formula, you can only jump to the next section. But it's useful to understand how this tool works so you can get the most from it. The market transaction flow forms a four-price candle: opening (1) and closing (2), and two extremes - high (4) and low (3). The task of determining a stable price channel is solved by averaging all ranges of deviations from prices that are typical of their average Moving Average Deviation (MAD). Deviations taken in Modulo (in absolute values). relative to MAD was established. But what will serve as a benchmark for "normal" deviation levels? The level that defines the channel is taken as 100 (100 is the upper limit and -100 is the lower limit). Same as for any oscillator, overbought and oversold levels are intrinsic to CCI. In a flat market, prices are rarely channeled. There are two basic strategies for using a CCI oscillator: across 100 and -100 levels. A method to buy on a flat channel looks like this: wait for the line to cross the -100 level, get ready to trade, and when reversing and crossing the same level goes up, it's time to enter (buy an instrument). There is a break-even, trend, and counter-trend strategy for using CCI. Break-even strategies don't lose their relevance because of a well-developed "step" approach to market-builders positioning. How does it work? Each asset has a company that specializes in this instrument and trading in it continues on both sides of the market. Thanks to market-makers, every customer can buy or sell currencies 24 hours a day and always receive "market prices" without fail. Large financial institutions use market-maker services. A large amount of capital must enter the market gradually, so as not to raise or lower the price of the entry for itself. So flat market conditions may actually represent the position of the building. When news hits the market, all traders rush to trade on the "side", while market makers "give away" their previous position in bits, and may even establish a new one at the top of this movement. Markets are presented as a series of flat sections of a set of positions, followed by quotation marks going up to "new levels." A different approach insists on trading with trends, assuming that even bad entries that carry losses will be "pulled out in front" after the trend corrects. Counter-trend strategies are most often used by brokers, day traders with a large number of transactions (turbo trading options). 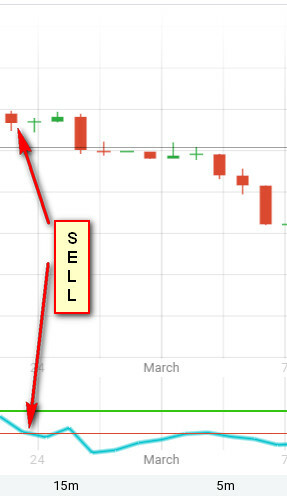 By passing up the trend to avoid pursuit, brokers "catch" corrections using counter-trend strategies. To make a strategy, we need to have a number of primary and secondary indicators. The key indicator functions as a "donor" signal. They are used to make transactions on assets (buy or sell). 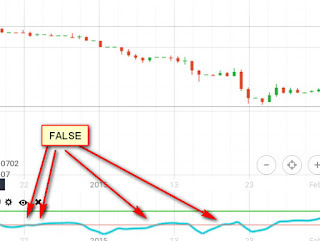 As mentioned earlier, all indicators have a number of false signals. When there are many of them, it's because an oscillator designed to trade in flat mode is used in parts with direction of movement. 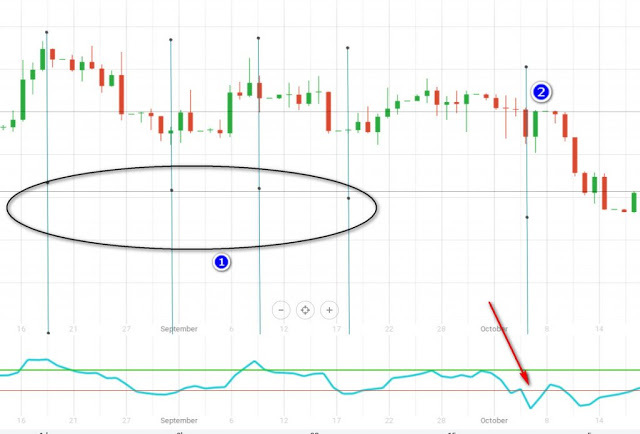 To filter these signals, it will help to use the trend indicator, but this type of indicator also lies in the sideways movement. So we need a filter that determines whether there is a directional trend on the market or it's flat. CCI is ideal for creating trading systems because, as we see, the indicator algorithm provides input on both trends and on the flat. Our goal when creating a trading strategy is to choose a filter that detects market conditions: flat or trendy. 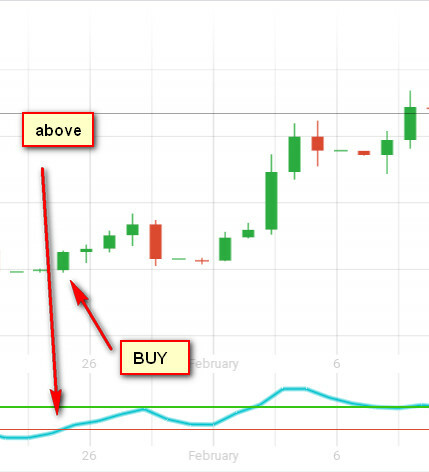 Ideally, this additional filter will help us to include the counter-trend trading elements in our strategy. Now that we have defined our strategy concept and set our goals with CCI as a signal donor, we can start selecting filters for that. 0 Response to "How to Use CCI Binary Options Indicators"